Are you planning to celebrate Chinese New Year with good red wines? Here is your opportunity to try some of our best Bordeaux from both sides of the Garonne River! 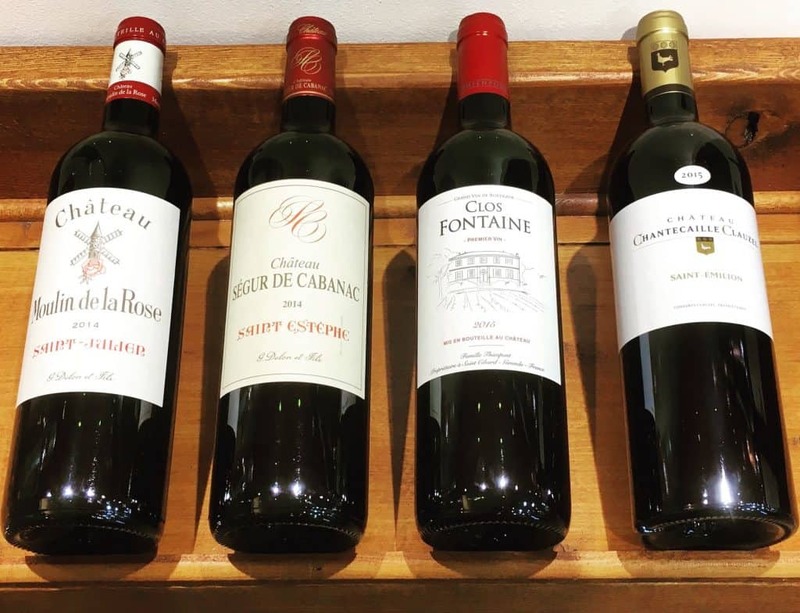 In order to start the year of the Dog with elegance and strength, we have selected 2 wines from Médoc (Saint-Julien and Saint Estephe), and 2 wines from the Right Bank (Saint-Emilion/Pomerol and Cotes de Francs). These wines are available with limited quantity and as usual, our space is limited so please book your Wine Tasting Glass ASAP!!! This 5 Ha vineyard is a small enclave among the classified growths. The estate has an homogeneous terroir with some of the best gravelly soil of Saint-Julien and the wines are produced carefully in full respect of this terroir. This 7 Ha vineyard is located in the eastern part of Saint-Estephe, overlooking the Gironde estuary. The Terroir consists of a gravelly rise with excellent natural drainage, and also benefits form the tempering effect of the river. This is the New First Wine from Chateau Clos Fontaine. Taken from the best plot and aged in new Oak Barrels. The vineyards of Chantecaille Clauzel (0.5Ha), are situated between Pomerol and Saint Emilion, in between the vineyards of Chateau Gazin, Cheval Blanc, La Dominique and Chateau Petrus. This exceptional terroir expresses in a special microclimate marked by moderate temperature and rainfalls, which conducts to perfect ripening of the grapes and delivers and immediately recognizable taste. This entry was posted in Blog post, Events and tagged Bordeaux, Red wine, Wine Tasting.